Okay, I’m not getting this. 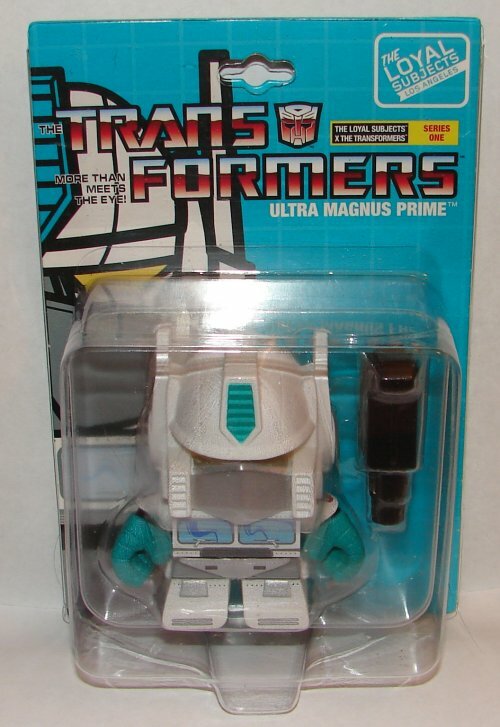 Why are they calling him “Ultra Magnus Prime”? I’m not sure the people at Loyal Subjects understand the source material. 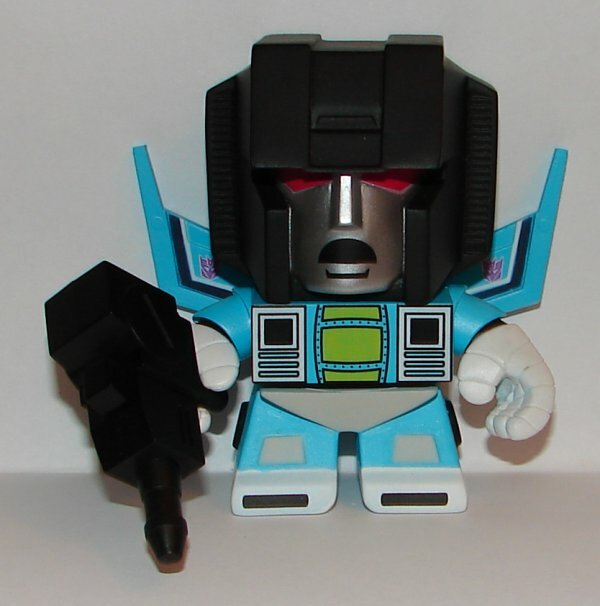 At no time has Ultra Magnus ever been called by that name, not even in Transformers: The Movie when he had the matrix. It’s a cool looking figure, but they really need to put some more thought into things. 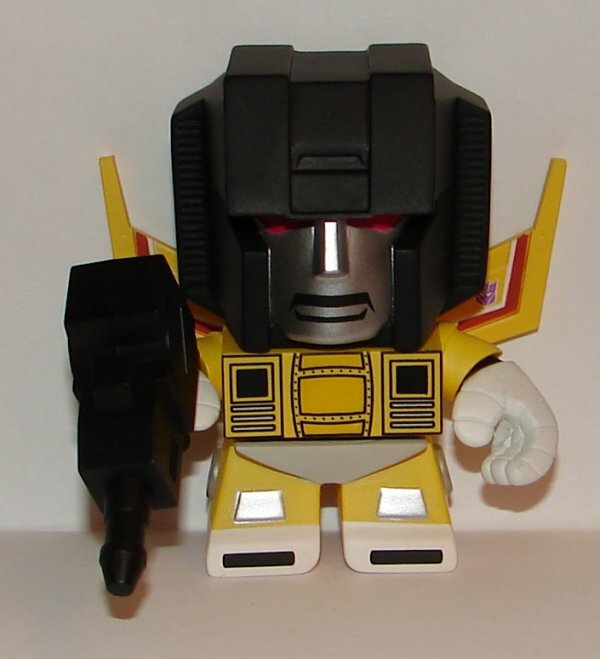 A lack of understanding of the source material might also explain the bizarre Bumblebee repaint from Series 1. 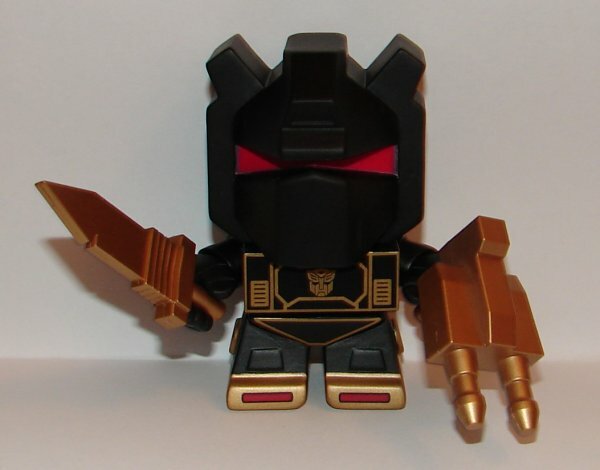 Grimlock has a very cool black and bronze color scheme, but as he has never appeared in those colors, I’m not sure why they did this. 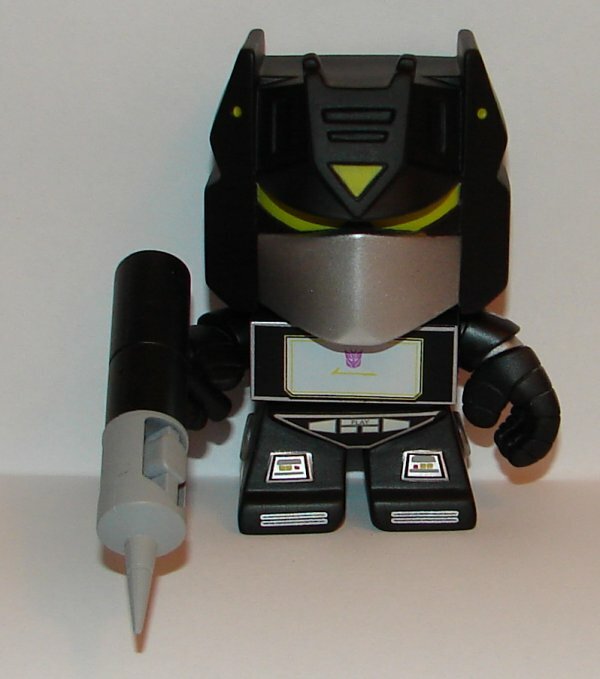 Soundwave on the other hand looks great, but has the wrong name. 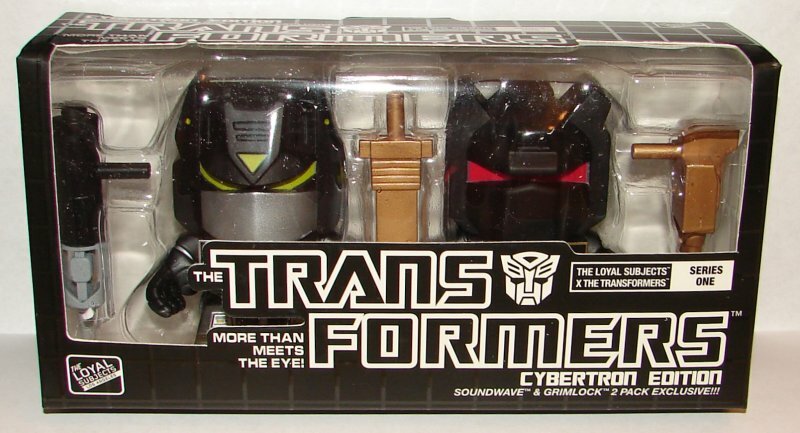 There is no logic in not calling a black Soundwave Soundblaster. Again, these may be a fundamental lack of understanding of the source material. First off, how stupid is it to do a set of toys and not give them names? I’m not even 100% sure who all of them should be. The yellow one would obviously be Sunstorm, and given the camouflage on his wings I guess the green one is Acid Storm, but who is the third one supposed to be? 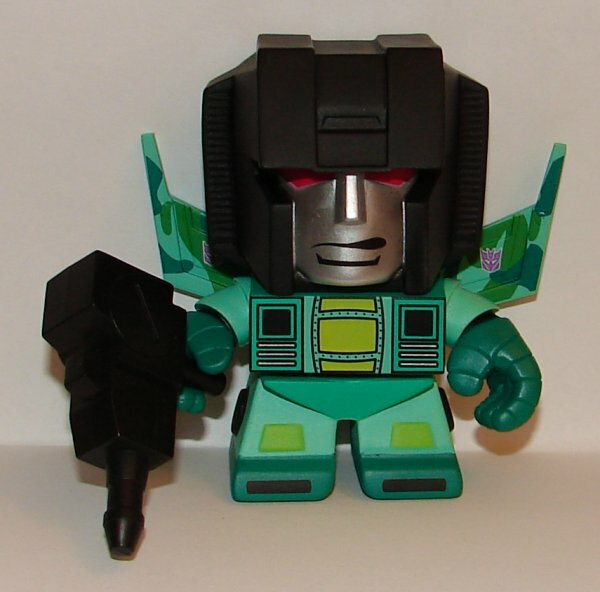 We already got Thundercracker. 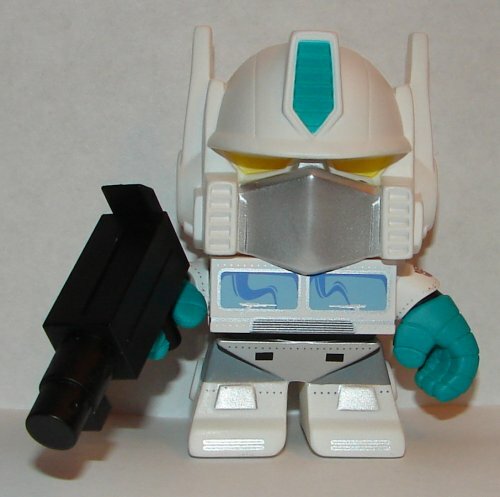 This isn’t an unlicensed third party company, these are official product and should be able to use the TF names. They do look very cool, and I’m glad I picked them up, but would it really have been so hard to give them names? This entry was posted in Toy Reviews, Toys, Transformers and tagged Acid Storm, Bitstream, Exclusives, Grimlock, Hotlink, Loyal Subjects, Loyal Subjects X, Loyal Subjects X The Transformers, Rainmakers, Seekers, Soundblaster, Soundwave, Sunstorm, The Loyal Subjects, The Loyal Subjects X, The Loyal Subjects X The Transformers, Toys, Transformers, Ultra Magnus, Ultra Magnus Prime. Bookmark the permalink.